DaytonaC.... Whats not to love about it? except for the long long long waitlist??? Great review and a gorgeous watch. Im a big fan I have a black dial but the more and more I look at the white dial it is certainly tempting me. I love my white dial and would never part with it but it would be nice one day to perhaps complement my white dial with a black dial. Perhaps dress one down with leather strap and keep the other on the bracelet. I guess depends on the strap? 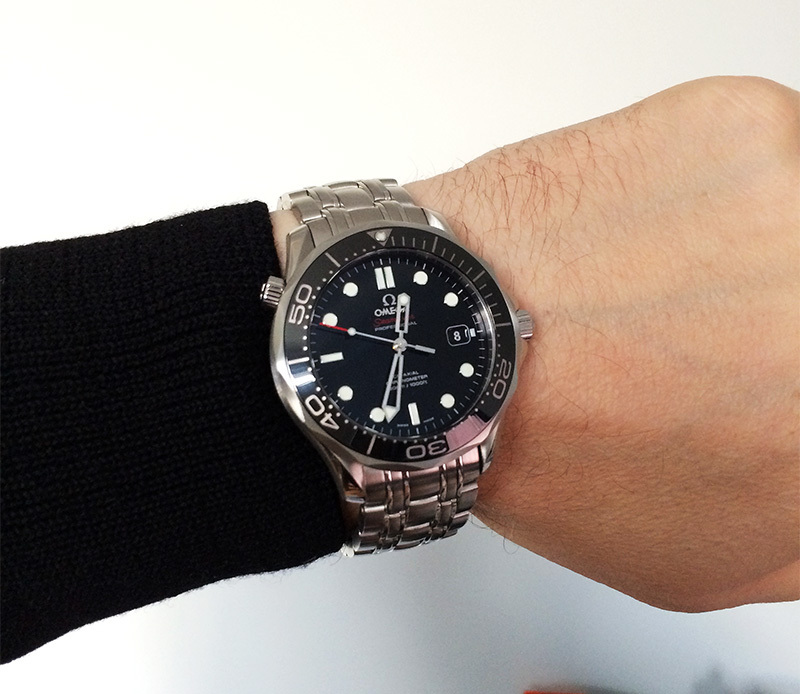 I had an omega without screw down pushers, and after about 10 years one of pushers fell out. I have a feeling the screw downs are not for water proofness but for overall integrity if used roughly. I concur fully with the con on having to unscrew the pushers..... it is a pain every time I have to use the Chrono feature on mine. It hampers a bit on the practical side. While everyone seems to love the ceramic bezel, I prefer the older style metal bezel. I may be the only person who feels that on the Daytona the ceramic feels out of place to me. Unfortunately i've found these to be too large for my (admittantly rather skinny) wrists. +1 on the older style metallic bezelon the Daytona . Ceramic is nice on the sub...... maybe even on the GMT..... but the Daytona .... I don’t think so ! thanks. 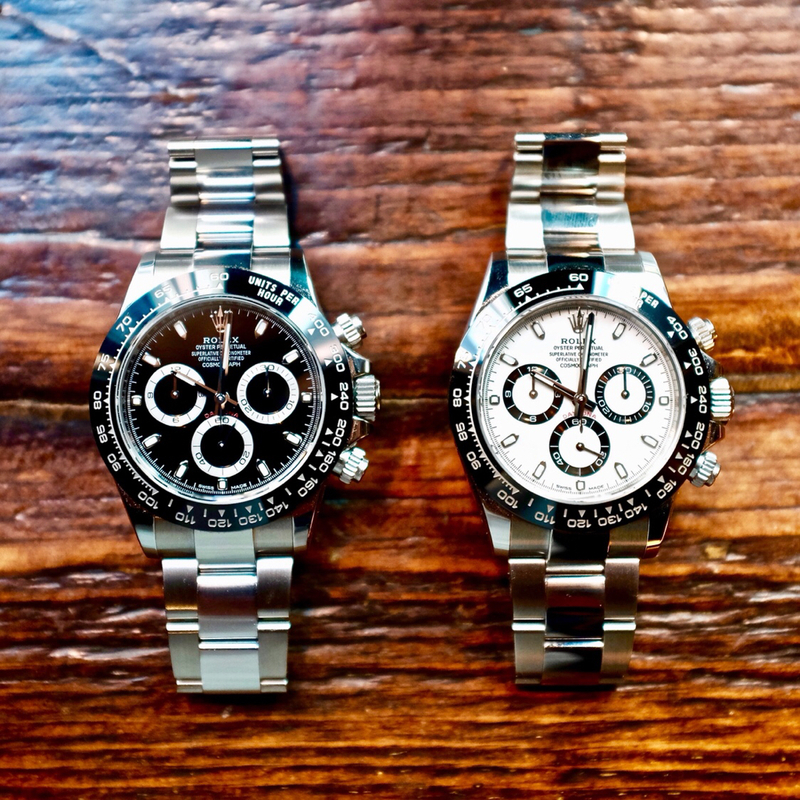 for SS sport model the daytona does wear small and is actually smaller than its 40mm described case size. I think it measures a tad over 39mm. The price. It’s ridiculous,y overpriced, for me. per rolex's website, "The Daytona's chronograph functions are activated by pushers that screw down like the winding crown when they are not in use, guaranteeing waterproofness to 100 metres"
I think it does serve a dual purpose though, as any good chronograph should have pushers that avoid accidental engagement. That is why the Speedmasters pushers are so hard to push. One other thing that I love about the daytona is the crisp mechanical action of the 4130 movement. For example, when you first engage the chronograph, the action and sound is different than when you hit the top pusher again to pause the time. Beautiful watch and nice review! I am waiting for my 116500 to arrive and hope to receive it by beginning of April. Meanwhile, I bought the big brother in order to make the waiting sweeter. Would you say the ceramic Daytona bezel is as reflective as something like the SMPc? I sold one of these for being too shiny.